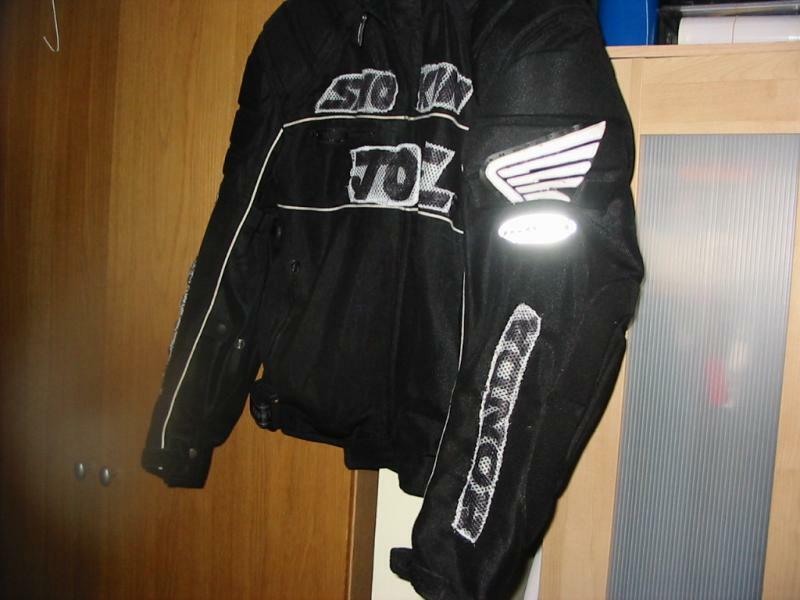 So with the 110* heat, I wear my mesh jacket daily, so wanted to trick it out. 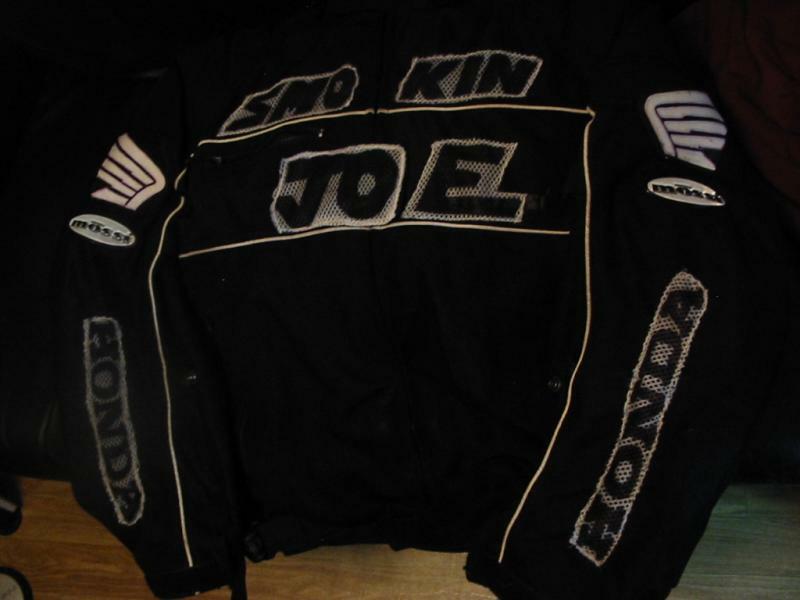 Got my logo and honda logo on & made them out of mesh to not block airflow. They look straighter in real life but hard to unwrinkle a mesh. Last edited by smokinjoe73; 07-19-2013 at 04:11 PM. So Smokin, do you kiss yourself while looking in the Mirror ? Couldn't you get just one piece to have a more uniform look ? See, you do all this work on your gear and get feet comments. Or you have some perv picturing you kissing a mirror. Last edited by smokinjoe73; 07-19-2013 at 04:12 PM. by asking a ligit question. Oh, yeah, the zipper is in the way, but the JO part goes over the zipper & is velcro'd on the other side. Just didnt do it with the smo-kin. Its a learning process. Looks cool for a DIY job. Thumbs up. Is that white mesh with letters drawn in Sharpie? Bogs down when throttle opens "too far".